In criminal cases across the country, FBI agents and local police detectives have testified as expert witnesses concerning the location of a suspect’s cellphone (and presumably the suspect) at the time a crime was committed. Whether law enforcement officers are qualified to give that testimony is a hotly contested question. 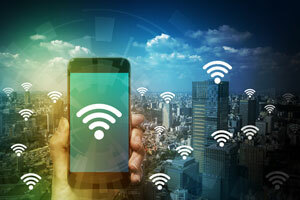 The Connecticut Supreme Court is the latest jurisdiction to consider whether cellphone location evidence is sufficiently reliable to be admitted at a criminal trial. The court’s decision will contribute to a continuing debate about the validity of the expert evidence, particularly when the expert witnesses are police officers with no background in engineering or telecommunications. Eugene Edwards Jr. was convicted of robbing Lieslotte Worysz, age 83, in Wethersfield, Connecticut. The prosecution argued that Edwards followed the woman home from the grocery store, entered her garage as she exited from her car, put his hand on her car door while brandishing a gun, stole her money and jewelry, and fled. The jury found Edwards guilty. Edwards was also charged with committing a similar robbery of an elderly woman in Berlin, Connecticut three weeks earlier. The jury found Edwards not guilty of that crime. Worysz described the robber as a black man between the ages of 35 and 40. She testified that the robber was holding a black gun. When the police showed her pictures of potential suspects, she said they all looked alike to her. Worysz noticed a car behind her as she drove home. A surveillance video at the grocery store captured the car that Worysz described. Edwards was one of three people who, according to records of people with prior police contacts, owned a similar car. The police did not inspect the other cars. The car on the video had a broken brake light, but the brake lights on Edwards’ car were working. Worysz said that the robber held her wallet and a garage door opener. A DNA analysis eliminated Edwards as a possible source of DNA found on the wallet and opener. A fingerprint analyst could not match a partial print that was taken from Worysz’ car to Edwards, although a different analyst testified that the partial print came from Edwards’ left hand. Worysz testified that Edwards was holding the gun in his left hand. The defense argued that Edwards could not have opened the car door using a hand that was holding a gun. In any event, Connecticut law does not permit a conviction to be based on fingerprint evidence alone when the print was taken from a car that has been parked in a public place. The police searched Edwards’ home and found a black BB gun with an orange tip. Worysz did not describe the gun she saw as having an orange tip. No jewelry or other crime proceeds were found in a search of Edwards’ car and residence about a week after the robbery. Detective Christopher Morris testified as a cellphone expert based on his attendance at a three-day police training session in cellphone investigations. He opined that Edwards’ cellphone connected to towers near Worysz’ home and near the store where Worysz was shopping on the day of the robbery. He also testified that cellphones connect to the nearest tower, although he acknowledged that facts such as weather, network congestion, network maintenance, topology and foliage can all affect the cellphone’s connection to a particular tower. The prosecution called a Verizon employee to authenticate the records upon which Morris relied, but the trial court ruled that the employee was not an engineer and was not qualified to offer any opinion as to whether Edwards’ phone would have connected to the nearest tower. However, the court held that Morris was qualified as a “police expert” to testify about cellphone locations based on his training and experience. Morris gave no testimony about peer-reviewed studies that validated his methodology. He gave no testimony about error rates that occur when his methodology is used to determine cellphone locations. The prosecution offered no evidence that Morris was trained by scientists or engineers or that his training was based on accepted scientific principles. The Connecticut Supreme Court agreed to decide whether a police witness who is not an engineer and has no scientific training other than “police training” is qualified to give reliable testimony about cellphone locations. People like to say that the phone goes to the nearest tower. It goes to the clearest tower within range, not always the closest tower. You could be sitting on your living room couch and you could make four phone calls and each call would use a different tower. Getting that point across to jurors may require defense attorneys to retain the services of independent experts. The initial question confronting courts, however, is whether police officers who have no background in science are able to give reliable testimony about cellphone locations based on brief training sessions that are taught by other police officers who have no background in science. As ExpertPages has noted in the past, different trial courts have reached different conclusions about the admissibility of expert testimony concerning cellphone locations. In Maryland, Adnan Syed was recently granted a new trial because his lawyer failed to cross-examine a state’s expert witness about the reliability of cell tower data that allegedly placed him near the site of the victim’s burial. Lisa Marie Roberts, convicted of murder in Oregon, was also granted a new trial based on her attorney’s failure to challenge questionable expert cellphone location evidence. A judge in that case ruled that there were serious doubts about Roberts’ guilt. A federal judge in Chicago refused to allow an FBI agent to testify about a cellphone location in a kidnapping case. The court concluded that the agent’s “chosen methodology has received no scrutiny outside the law enforcement community” and that the reliability of that methodology had therefore not been established. Other courts have routinely admitted cellphone tracking evidence, perhaps because defense lawyers do not realize that they have grounds for challenging its admissibility. Evidence professor Edward J. Imwinkelried encourages lawyers to use their own experts to challenge law enforcement agents who claim that they can determine the location of a cellphone using cellphone tower records.